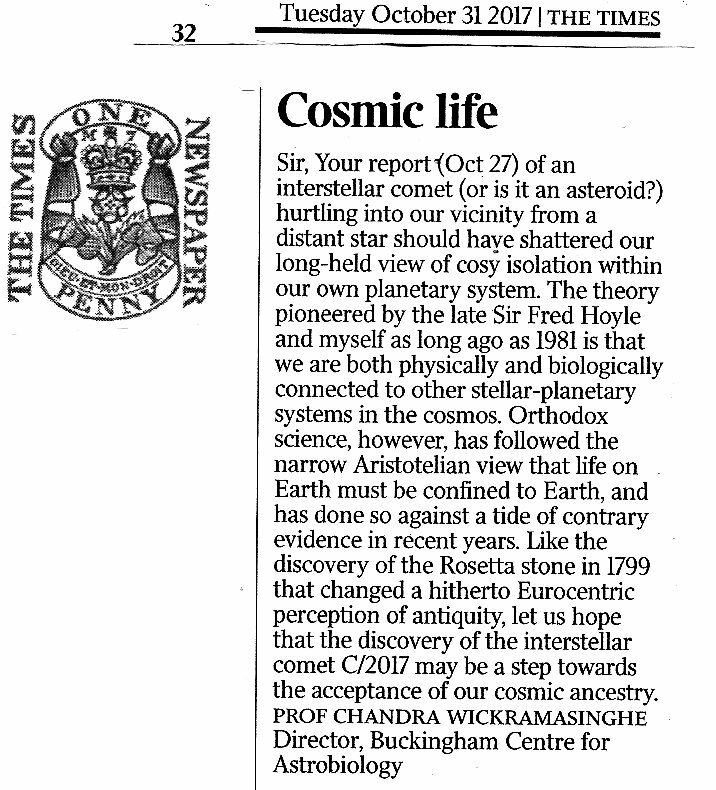 Professor Chandra Wickramasinghe’s Letter to the Times of London. Arthur C. Clarke, whose birth centenary fell on Saturday, was trained in physics and mathematics at Kings College London. In 1945 he published a technical calculation to demonstrate the feasibility of satellites that orbited the Earth at the equator to be in sync with the Earth’s spin if the orbit was at a height of some 35,786 km – now called the Clarke orbit. This was essentially his proposal for communication satellites, which was published in the magazine Wireless World. Predicting the future, if it is to be done, sensibly demands deep knowledge of present-day science, a vivid imagination and what could only be described as bold and unfettered genius. The great prophets and futurists, HG Wells and Arthur C. Clarke amongst them, combined these attributes. 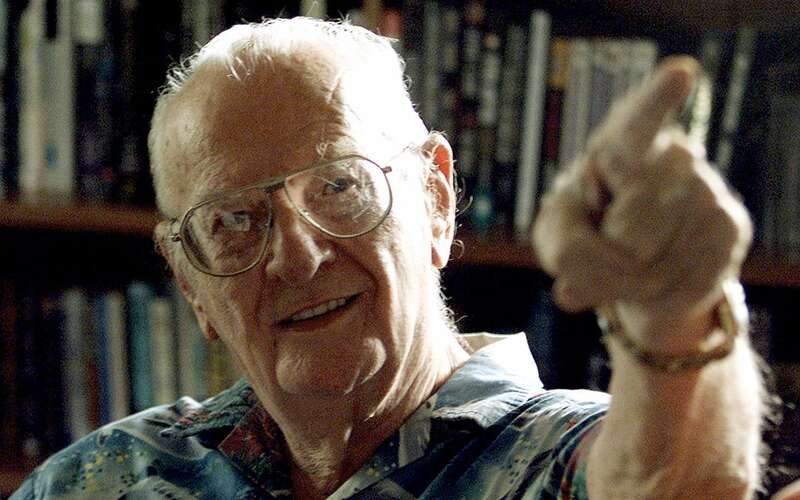 Scarcely two decades later communication satellites became a reality, and it is no exaggeration to say that we owe our entire 21st century lifestyle, including the internet, entirely to Arthur Clarke’s work. This is surely an example of an imaginative and informed prediction turning out to be a reality on a relatively short timescale. In my time I’ve been very fortunate to see many of my dreams come true. Of course Arthur Clarke’s predictions did not stop there. His passion for forecasting and peering into the distant future made him the most curious and inquisitive of humans. His ears pricked up whenever he heard of a new scientific breakthrough that could open the way to imaginative possibilities. My personal recollection of one such development was in 1980 when I informed Arthur that we had found unequivocal evidence of organic molecules existing in great abundance in space. At the time we had not made an explicit argument for life in comets or in space, but of course Arthur’s imagination instantly ran riot. To him, organic molecules must mean life, and life must in turn mean intelligent life, sentient super-human beings everywhere in the cosmos. And there was of course no reason to think that we humans are anywhere near the top of the tree as far as intelligence was concerned. Arthur explored ideas of extraterrestrial beings in various situations, and their politics and conflicts throughout a long series of science fiction novels. The most famous of these was “2001: A Space Odyssey” which was made into the iconic blockbuster movie directed by Stanley Kubrick in 1968. No development in science escaped Arthur’s attention. When the new science of nanotechnology rose into ascendance, with new forms of carbon being discovered, he wrote his novel “Fountains of Paradise” in which the idea of a space elevator was introduced, sliding on super-strong cables to permit travel from ground to geostationary (Clarke) orbit. That idea started as pure fiction but today, decades later, serious plans are afoot to construct precisely such an elevator using “diamond nano-threads” for constructing the elevator cable. Today a Japanese company expects to build a fully functioning space elevator by 2050. So science fiction will eventually turn into fact. Arthur was a strong supporter of my own theory of panspermia and cosmic life, pioneered along with the late Sir Fred Hoyle. 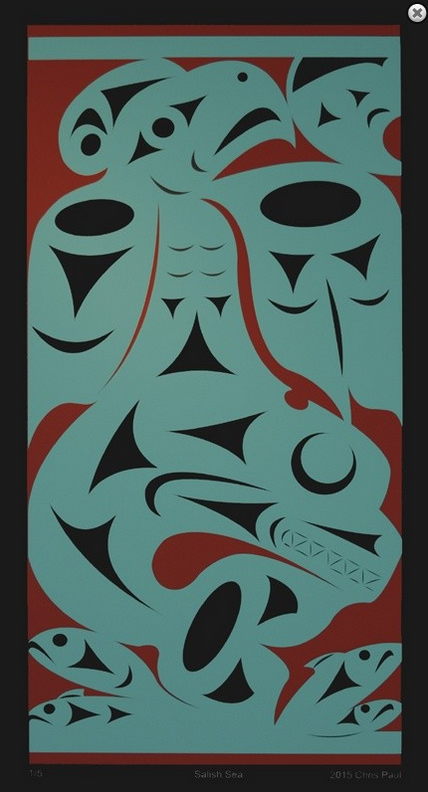 Clarke and I often talked about the societal resistance to new ideas such as ours. He remarked, judging from his own experience, that perhaps acceptance of any new idea goes through three stages. First, it is widely denounced as a ridiculous and impossible. In the second stage it is admitted that it may even be true but in that case it would be unimportant. In the third and final stage it is conceded that the idea is in fact correct, but then we knew that all the time! Throughout history the innovations of all great geniuses have followed the same trend. 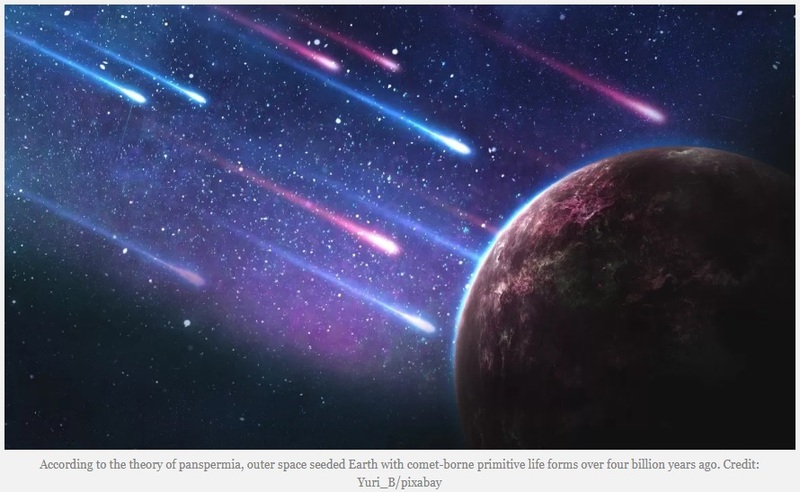 Proposing that careless human astronauts may be involved in a process reverse panspermia was perhaps intended as a joke. But we are constantly taking our own germs (not necessarily in faeces!) to other planets and into space. Even today we are sending Earth bacteria into space on the many spacecraft that are sent off to distant planets because complete sterilization is practically impossible. It is only in the last few years that this latter risk is being taken seriously by various Space authorities. When Nasa’s Voyager probes returned dramatic close-up images of the Moons of Jupiter, particularly Europa, in the 1970s the enigmatic network of cracks triggered Arthur’s imagination. I recall him telephoning me to explain that this was clear proof of his conjecture that there was a gigantic ocean of liquid water under a thick insulating crust of ice; and this ocean could be inhabited by intelligent dolphins, among other forms of marine life. In 2016, Nasa announced a plan to send a robotic probe to Europa, and the funding for this appears now to be secure. 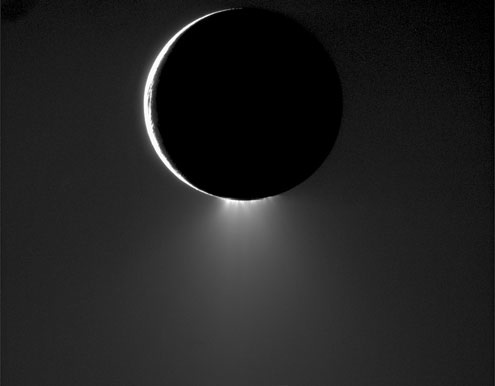 The probe, to be launched in 2031, will search for life by drilling through the frozen crust into the oceans which scientists now believe must exist beneath the icy moon’s surface. In 1992 the Comet Shoemaker–Levy 9, hurtling in from the outer reaches of the solar system, was rounded up by the planet Jupiter and torn apart into many fragments. Two years later all the fragments of the comet were seen to crash onto Jupiter. This event alerted hitherto sceptical scientists to take seriously the prospect of comets colliding onto planets. On this occasion it was Jupiter that was hit, but in the past and in the future our own planet is not to be spared. 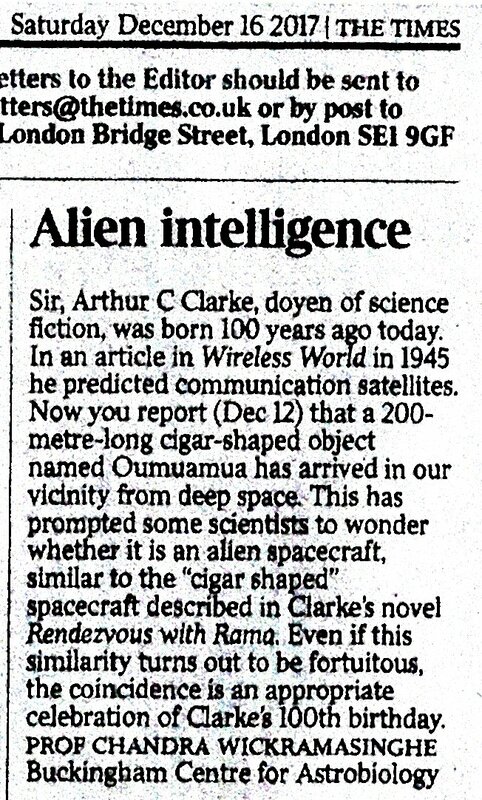 I remember talking to Arthur in his home in Colombo some weeks after this event and he quipped: “This would not happen to us in the future if we have the wisdom to have in place a Spaceguard Project of the type described my 1972 novel Rendezvous with Rama.” In his novel Spaceguard was the name given to an early warning system that was set up after a catastrophic asteroid impact. Since 1992 a very modestly funded Spaceguard Project has indeed been put into operation. Here a network of small telescopes continually scans the skies for asteroids larger than 1 km in size that are pursuing potentially threatening orbits. So far the tally of such “Near Earth Objects” or NEO’s is close to a thousand. Monitoring these objects could well be the saving grace for humanity in the future. It is indeed a remarkable coincidence that a 200-metre long cigar-shaped object named Oumuamua has now arrived in our vicinity from interstellar space and prompted some scientists to wonder whether it may indeed be an alien spacecraft, similar to the “cigar shaped” spacecraft described in “Rama”. Even if this similarity turns out to be fortuitous, which I think is most likely, the coincidence is an appropriate celebration of Arthur’s 100th birthday. Indeed, his obsession with space and in particular with alien intelligence is most prescient, particularly in light of recent developments in science. Today we are closer than we have ever been to accepting that we are by no means alone in the universe. “Predicting the future is hazardous occupation because the prophet invariably falls between two stools. If his predictions are at all reasonable you can predict in 20 or at least 50 years that the progress of science and technology would make him seem ridiculously conservative. On the other hand if, by some miracle, a prophet could describe the future exactly as it was going to take place, his prediction will sound so absurd, so far-fetched, that everybody would laugh him to scorn. Here’s to many more fantastic years of scientists and writers inspired by Arthur’s example. Ada Derana Sri Lankan of the Year 2017, felicitating outstanding individuals and groups of the island nation, was held for the second consecutive year at the Hilton Hotel in Colombo on Wednesday September 27, 2017. Fourteen awards in total were presented to a range of individuals from a range of fields and professions. The Ada Derana ‘Sri Lankan of the Year’ is designed as an exhaustive, rigorous and credible platform to nominate and select Sri Lankans whose dedication and commitment in their chosen fields have inspired pride and patriotism. In recognising such achievement, it is hoped that fellow Sri Lankans, especially the younger generations, will be inspired to emulate the hard work, passion, and vision of their idols. of Crick and Orgel’s’ technological society’, 44 years after the publication of their original. 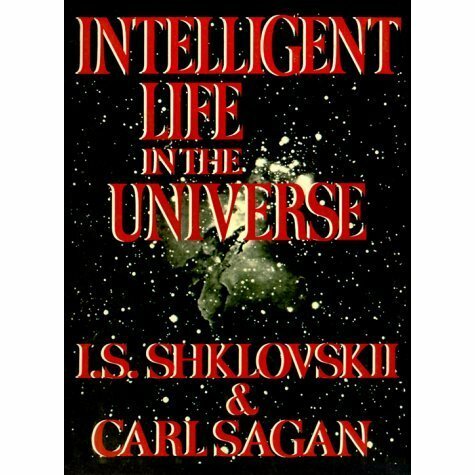 Problems related to the origin of life and the role of migration of the dust component in the Galaxy and between galaxies in the spreading life are discussed. 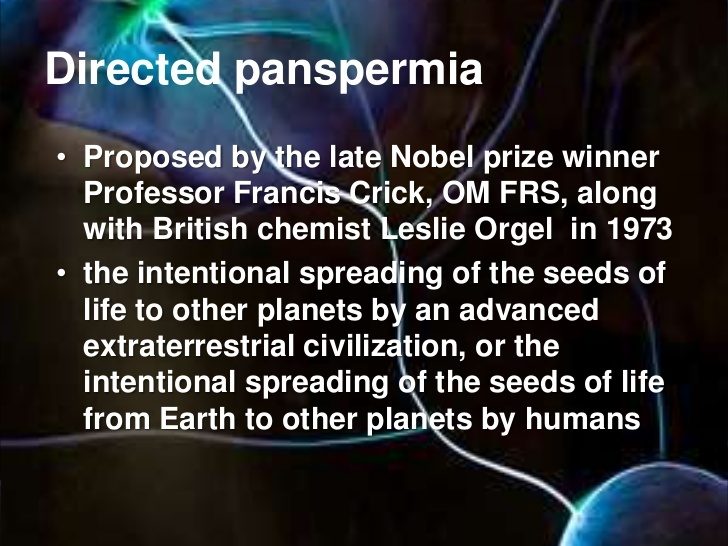 Limits on possible distances between points of action of panspermia are derived. Original Russian Text © N.G. Bochkarev, 2017, published in Astronomicheskii Zhurnal, 2017, Vol. 94, No. 4, pp. 298–300. 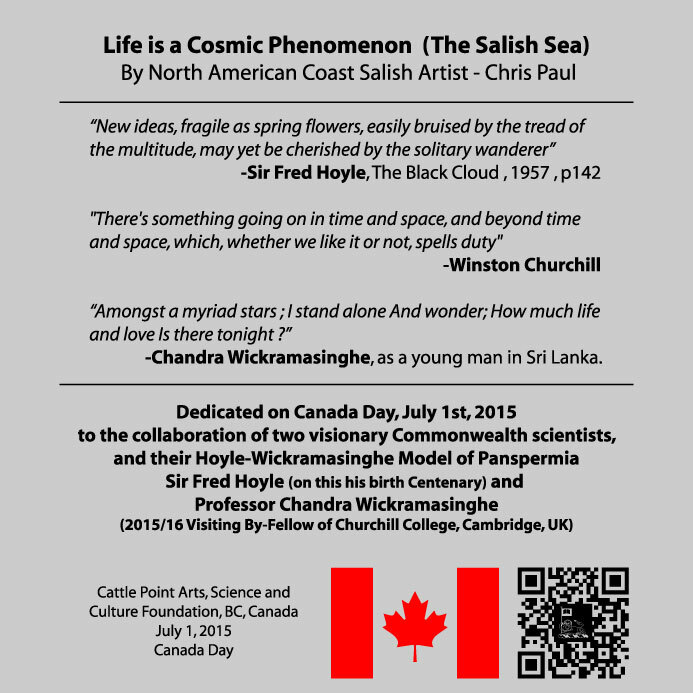 Based on a talk presented at the international conference “All-Wave Astronomy. Shklovskii-100” in honor of the 100th anniversary of the birthday of I.S. Shklovskii (Moscow, Russia, June 20–22, 2016). Printed by recommendation of the Scientific Organizing Committee of the conference. The search for extraterrestrial life is one of the most exciting frontiers in present-day astronomy. 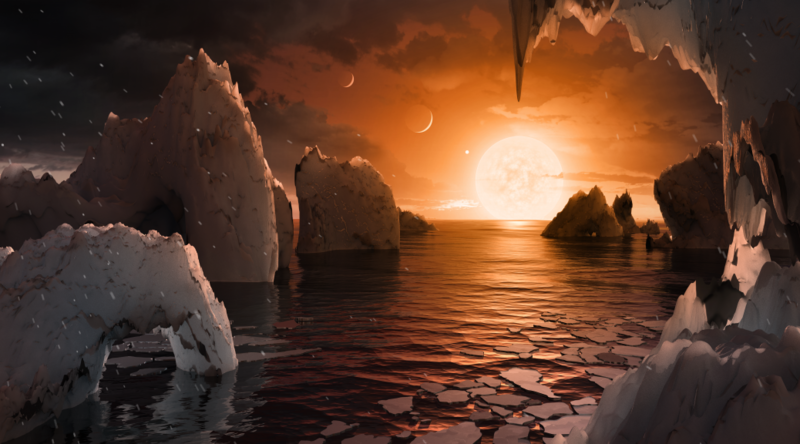 Recently, the TRAPPIST-1 star was discovered to host seven rocky planets with masses and radii similar to those of the Earth, of which at least three of them may be capable of supporting life. 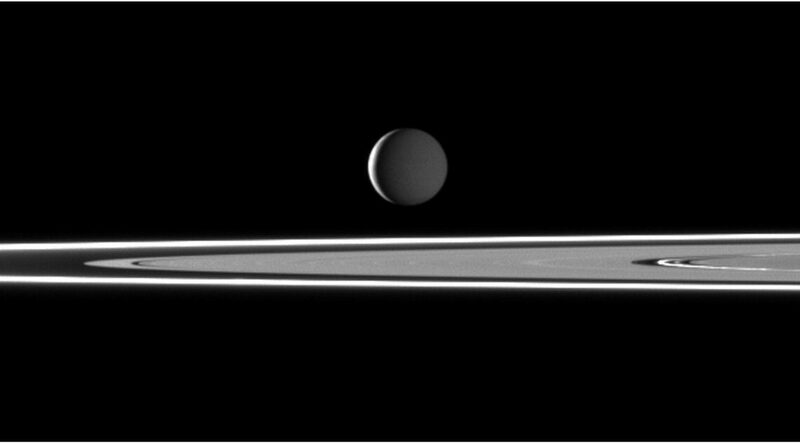 Our paper addresses the possibility that life on one of these planets can spread to others through the transfer of rocky material. We conclude that this process has a high probability of being operational, implying that this planetary system may possess multiple life-bearing planets. 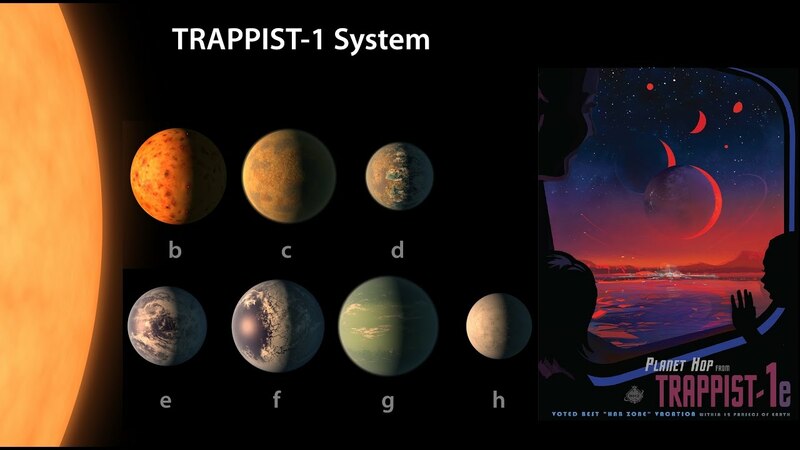 Thus, our work has profound theoretical and observational consequences for future studies of the TRAPPIST-1 system and the likelihood of life in our galaxy.